Without further ado and babbling, here tis my weekly crap wrap. HaHa. Pardon my sad, sad sense of humor. Oh, and click the picture if you'd like to see more pics in the shop. This is so perfectly sized. Wish I'd made a pattern but alas, I did not. Remember this snakeskin-patterned leather? It turned into a tote! 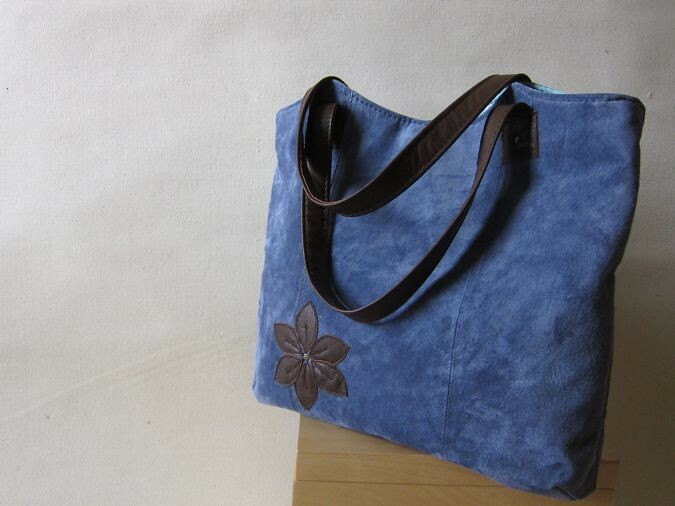 I found lusciously soft periwinkle suede just recently and quickly used most of it on this great tote as well as the crossbody shown below. 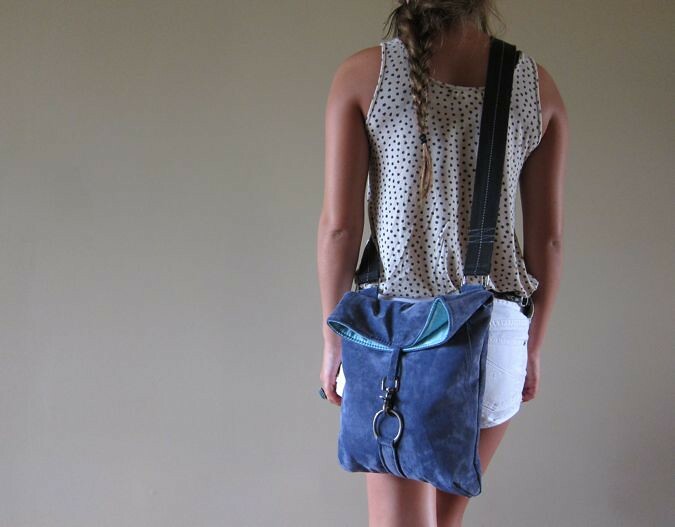 I am madly in love with the comfort and look of the crossbody. It has the perfect chunky clasp from a belt I recycled many months ago and the strap is wide and so soft. Love. So can you believe it? I actually added four new bags to my shop this week. Yes, it was indeed a pretty successful week for Studio Waterstone. And the best news? Not only did my arm NOT fall off, it's practically devoid of pain. Yay! Tell me AT LEAST one good/happy/thankful thing that occurred. I love them all especially the first and last ones. 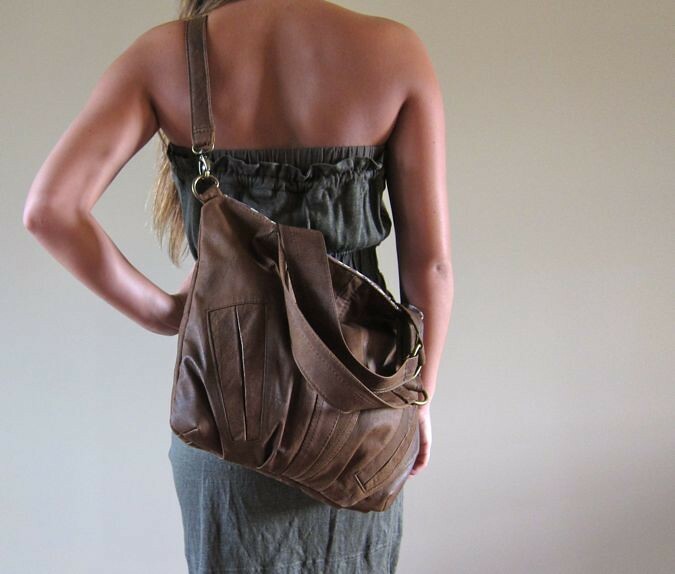 Lori, all the bags are spectacular! I love the snake skin one espeically! Good thing that happened this week was the Aug. 2011 Bead Trends arrived and our necklace was inside. That gave mom and I a warm and fuzzy feeling! You take care of that arm girl! Have a great Saturday and see you tomorrow! Glad you are back and feeling better. That browm bomber jacket purse rocks! Your bags are beautiful and efficient! Great job!